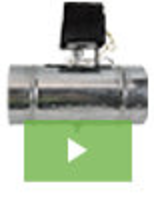 Dew-Point/Humidity Transmitter operates up to 300 psig. 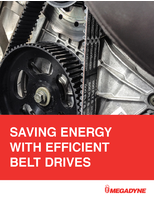 Contained within rugged housing measuring less than 1.1 in. diameter, Model SF52 features dew-point temperature range of -40 to +140. Communication is via 4-20 mA or voltage signal for either dew-point or absolute humidity with less than 3.6Ã‚°F accuracy and less than 1.8Ã‚°F annual stability. Transmitter's Ã‚-½ in. NPT port contains flush filter disc to minimize flow disturbance. Wireless Sensors measure humidity, temperature, or CO2. 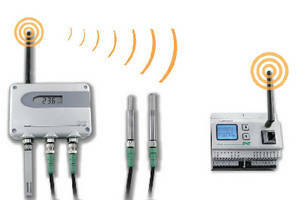 Wireless Air Quality Measurement Transmitter has local LCD display. 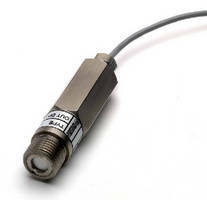 Relative Humidity and Temperature Transmitter can output data as analog signal. Temperature, Humidity, and Dew Point Transmitter is wall mounted. 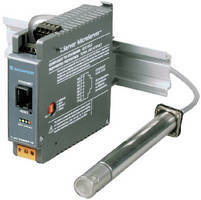 Humidity/Temperature Transmitter offers on-site calibration. 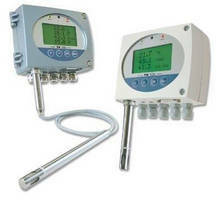 Industrial Transmitters measure humidity and temperature.